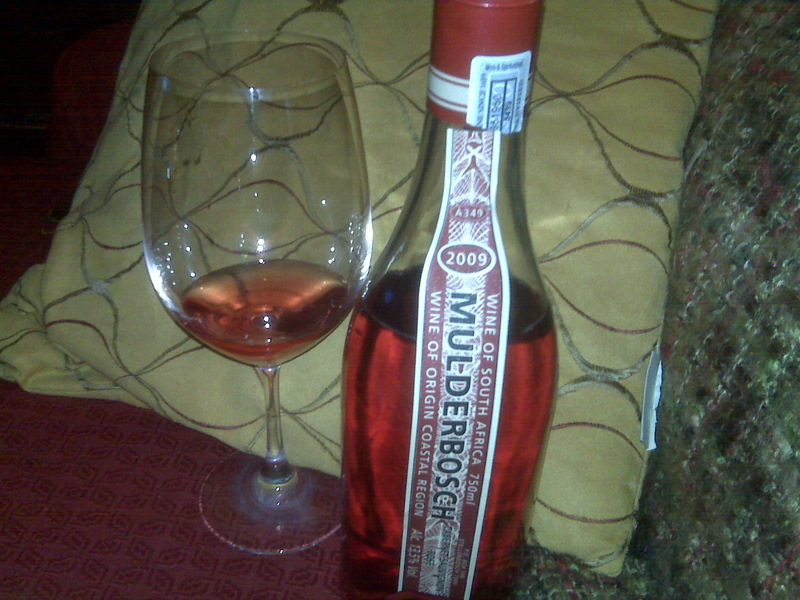 Mulderbosch Rose of Cabernet, 2009 South Africa | the wine snob. Welcome to another edition of Wine Snobbery! It is not noon, for once, as I write this- it is about 10:30 and I’m enjoying my post-work ritual which involves listening to laundry dry while I half-watch something bad on television. Tonight it is “16 and Pregnant.” There are so many things I could say about this show, but I will leave it at- don’t be a hater- you know it’s addictive. Besides, I have a few brain cells to spare. Let me start by saying that I am extremely ready for Spring, and so I’m ushering it in by drinking rose every day until it’s here! Who would have thought that someone who grew up in Connecticut and went to college in Vermont could tire so quickly of a South Carolina “winter?” But let me tell you- I’ve hated every second of this winter, with the exception of the beautiful snowfall we had a week or so ago. That was nice. But rose is the perfect Spring wine! And THIS one in particular will really command your attention. It is in no way wimpy. You could even say it’s manly, even though it’s pink. News flash, fellas- it’s okay to drink pink wine. Not all pink wine is white zinfandel. I think a good rose can be some of the most interesting, thought-provoking wine out there. It’s a constant dichotomy between the fact that it’s pink- which makes people dismiss it- and the fact that it’s not quite white wine, and not quite red wine, but somewhere in the middle, in a somewhat unchartered territory for many people. You can really see just what a beautiful color this wine is- a brilliant strawberry red. It’s nose is wonderfully fragrant- wild strawberry, lavender, rose petals, watermelon rind, grapefruit, and tropical fruits. There is a hint of something clean, fresh and soapy to the palate- in a good way. I am borderline obsessing over how good this stuff is- I’ve been sitting here for an hour and I can’t stop myself from now and then picking up the glass and exclaiming to myself- GOD this is good. What I love most about it is that it has an air of sophistication and sexiness to it- an edge of herbs and grass on the finish that just make it so INTERESTING. I love an interesting wine. It’s like finding out a man (or woman, I guess) has some kind of obscure hobby- like, oh yeah- I rebuild old cars in my spare time and I specialize in Volkswagon Squarebacks- want to see? Random and pleasantly surprising! We’re currently pouring this by-the-glass at Cellar on Greene, so if you come in and let us know you read this blog, we’ll treat you to a free taste (or two)! OR, you could always stop in to the Wine Sale this Saturday the 27th, where you can purchase a bottle for $15! 12-2 PM, like always! I will be out of town, but it should be a good one. In the mean time, PRAY for SPRING! And drink rose! Happy drinking, y’all! Wonderful write up as always. 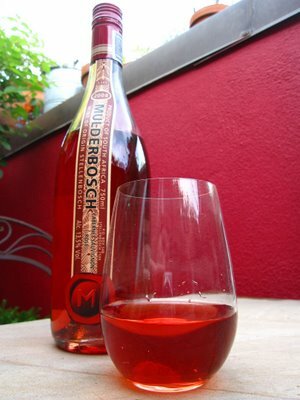 Mulderbosch Rosé has been one of my go to Rosés for a while now. Although it’s pretty much already spring here in Borderland, we’re rooting for you East-Coasters to get unburied from that miserable blanket of white. Cheers! Nice write, m’Friend. I am considering joining you in your quest to nudge Spring on by drinking pink until it arrives — will need more suggestions, however. Thanks. Nice writing Kaitlin. Very refreshing, you have a real talent. For about 2 minutes reading your blog it was almost like sitting in the same room as you and feeling what you felt. And, very important point, talking wine is a lot more than color, aroma, mouthfeel, fruit , acid, tannin, oak, finish, and all that. Yes wine with food is easy to combine the 2 arts. It is harder to describe the wine mood drinking it stand alone. Rose is easier as a stand alone than some wines, and you just showed us how to do it.